Assassin's Creed coming to cinemas? Ok so yes, movie adaptations of games haven't got the best track record, but here at T3 Towers the search continues to finally find a movie that does the game justice, could Assassin's Creed be the one? 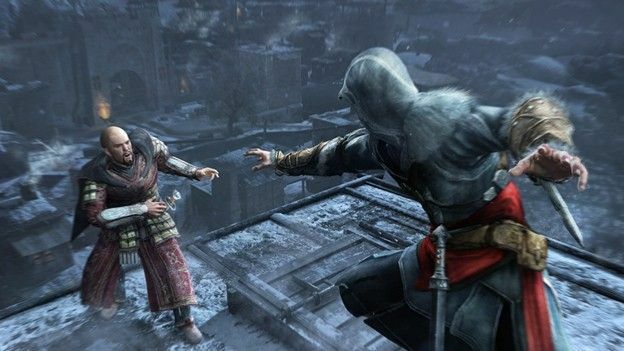 According to Variety, Ubisoft is in the 'final stages' of a deal which could see gaming mega-hit Assassin's Creed being brought to the big screen in a franchise that will see it become the first of a series of games which Ubisoft is hoping to bring to the silver screen. Sony Pictures looks to be the winning bidder after there was a bidding war between Hollywood studios including Universal Pictures. This has all come about after Ubisoft decided to bring several of its key titles to the big screen such as Ghost Recon, Assassin's Creed and Splinter Cell. To help things start moving Ubisoft have launched their own movie franchise arm Ubisoft Motion Pictures with the idea behind it being that they will have much more creative control over the process, something which was both key for Sony Pictures and also great news for fans. So what this adds up to is one of the most successful gaming-franchises of the last few years partnering with one of the biggest Hollywood studios but both have agreed that it must keep the creative and design elements from the games themselves. Too good to be true you may say, well it may well be but for now we'll just have to hold off until official news comes through. With Sony's next PlayStation confirmed to come with these killer features, has the next-gen console war already been won? How will Nintendo follow up on its smash hit success?